Management is based around the three phases of muscle repair: Inflammatory, Regeneration and Remodelling. These are all closely associated and overlap in the 4-8 weeks it takes for the muscle healing process to occur. Inflammation starts immediately following a muscle injury and is characterized by swelling of cells, infiltration of leukocytes and formation of a haematoma (bruise). Leukocytes (AKA white blood cells) begin to eliminate damaged tissue, stimulate pain producing chemicals and activate cells to begin the healing process. By day 2, tissue fills the damaged region, acting as scaffolding, and a new membrane provides an enclosed environment for regeneration of the damaged muscle. By day 3, regular pain-free active movement of the muscle and surrounding joint be commenced so as not to break any myotubes (early muscle fibres) which are forming across the gap. Studies suggest this gentle early mobilisation following the short period of rest enhances penetration of muscle fibres through the scar, limits scar size, aligns muscle fibres and regains strength of the fibres more quickly. Treatment up to Day 5 involves Rest, Ice, Compression, and Elevation (RICE) to decrease bleeding, swelling and pain and to limit secondary damage caused by the inflammatory reaction. Relative rest is advised. For example crutches for lower limb injuries can be used for the first few days to avoid further contraction of the injured muscle stumps, reducing the haematoma and scar formation. Ice can reduce tissue temperature, pain, blood flow and metabolism, thereby minimizing swelling and any secondary damage caused by this. Icing every few hours for 15-20 minutes for the first 5 days is considered the best method. Elevation is advised to reduce blood flow and swelling to limit excessive inflammation. Avoid heat, alcohol, massage or running in the first 48-72 hours as promoting blood flow will increase the inflammatory response, cause swelling to last longer and and prolong rehabilitation. Massage to the area from day 3 is commonly used and may help reduce oedema, pain, improve blood circulation and improve fibre alignment. By day 5, the inflammatory process is almost complete and the gap between the injured muscle stumps is becoming smaller. Gentle pain –free muscle stretching can be commenced so as not to extend the gap between the injured stumps. 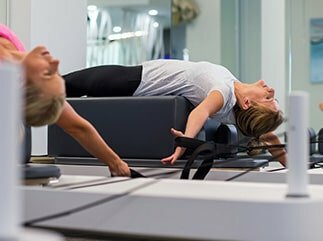 Pain free isometric exercises (muscle contractions whilst keeping the muscle at the same length) can be commenced in a neutral range for the injured muscle and other surrounding muscles. Interestingly, a injured muscle is capable of reproducing 75% of its maximal force by Day 3 but we need to continue to protect the regenerating muscle fibres. Low loads and high repetitions in pain free positions are used to maximise the neural response to exercise (i.e. build better connections between the brain and the muscle). By Day 7 the gap between damaged fibres is almost closed as the denser scar tissue contracts. Stronger static pain-free stretching can now be commenced to stretch the scar. Warm-up before exercise is advised. When combined with stretching this should increase the muscle’s capacity to produce force and resist further damage. 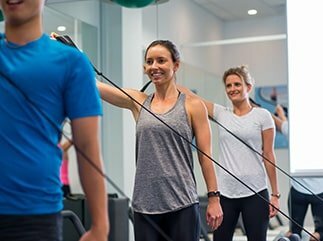 Rehabilitation is important to restore strength, endurance and flexibility to aid return to activity and help prevent recurrence of injury. Early rehabilitation in this first week is based on enhancing muscle regeneration, minimising scar formation and avoiding the undesirable effects of immobilisation. To maintain fitness, cross training, such as swimming/deep water running, so non-injured muscles remain active and cardiovascular fitness is maintained is advised. If involved in sports, the use of mental imagery can be used to continue skills. Mental practice is shown to increase brain activity in areas that are normally used for doing the task in real life. So there really is a benefit from just thinking about exercise!! As you can see it’s a busy week in the first week in the life of an injured muscle and a week where the timing of your treatment, rehabilitation and other activities can really effect the healing process. This is why your Physio will often want to see you a few times within this first seven days to ensure you are on track to the shortest path to recovery.